It’s time for the next big shift in marketing. Right now, most of us have made the move from impersonal, broadcast marketing to using value and content to reach our audience. Too often, though, once we hand an MQL to sales we never touch it again. We’re missing opportunities to grow the business through sales alignment and sales enablement. Marketers can be more effective if we stay active in the entire process, not just from awareness to conversion, but all the way to a closed deal. If we want to contribute to revenue in a more meaningful, immediately measurable way, marketers need to consider the entire pipeline. 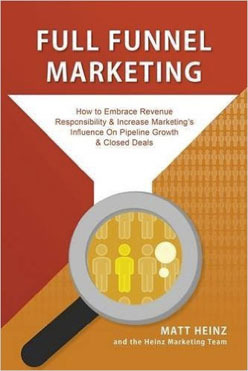 Our Marketing Book Worth a Look for this month is a guide to this new way of thinking about marketing’s contribution to the pipeline. It’s written by a thought leader and influencer with 15 years of experience in the industry. Matt Heinz is the President of Heinz Marketing Incorporated, author of multiple books on sales and marketing, and one of our go-to marketing masterminds. I tapped Matt’s expertise early on in my career with LinkedIn Marketing Solutions for The Sophisticated Marketer’s Guide to LinkedIn. Since then, he’s been one of our go-to experts. Simply put, Matt knows his stuff, and a new book from him is always cause for celebration. Matt is a proven industry leader with the chops to back up the sometimes radical suggestions he’s making in this book. He gets deep into tactics, but keeps it accessible regardless of your stage of sophistication. If your marketing department is struggling to demonstrate its contribution to revenue, it may be time to shift your focus to cover the entire buyer journey. Full Funnel Marketing can help you make the switch. 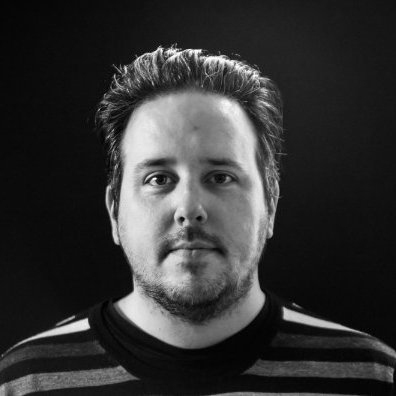 You can find Matt on Twitter @HeinzMarketing, and he writes regularly for the Heinz Marketing Blog. For more advice from smart marketers, for smart marketers, subscribe to the LinkedIn Marketing Solutions blog.